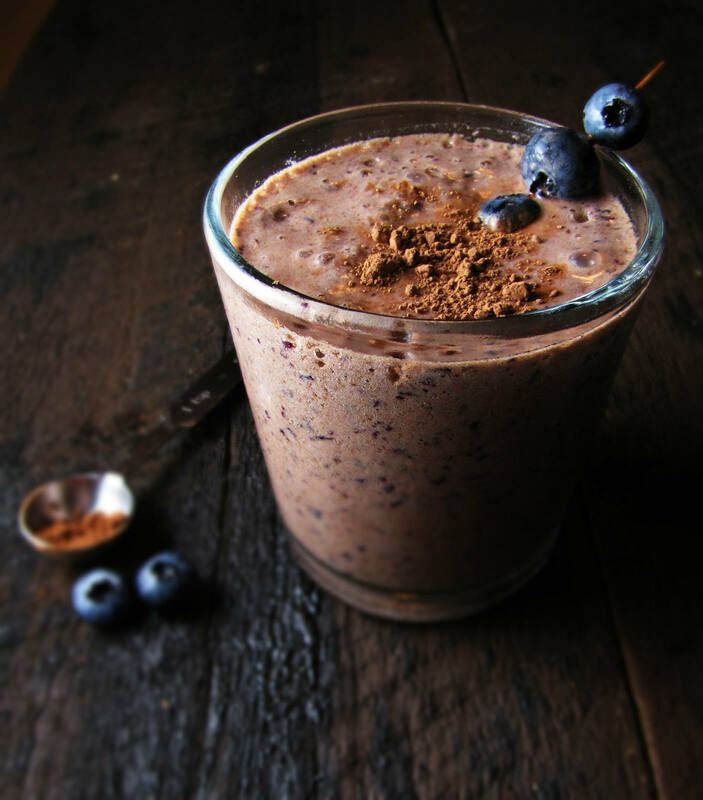 This chocolate smoothie is the best way to boost your body with energy in a short period of time. If you feel exhausted or tired, we present you a healthy smoothie recipe that will give you enough energy for all your daily activities and it will improve your overall health. Enjoy in the health benefits of the dark chocolate. Recent studies show that dark chocolate contains high amounts of polyphenols and antioxidants. They all contribute to strong immunity, amazing energy condition and healthy heart. When it comes to dark chocolate let your first choice be the one with at least 70% cocoa content. This chocolate is abundant with flavonoids, which are protecting our body from the harmful effect of the free radicals. Another very strong antioxidant is epicatechins, which can be found in raw cocoa. But compared to the previous two, it’s removed from commercial chocolate production due to bitter taste. Dark chocolate increases the blood flow and helps with blood circulation to the heart as well as to the brain, so it can increase your energy and improve the cognitive function in a few minutes. The main ingredient of the dark chocolate – cocoa contains high amounts of minerals, antioxidants and vitamins. Cocoa can strengthen the nails and the hair, can help with detoxification of the liver and improves the function of the pancreas. Cocoa powder also provides some essential minerals such as calcium and potassium. As you know that calcium is an essential component of bones and teeth. Calcium and potassium can help your health your heart function, muscle contraction and nerve activity. In addition, potassium also has a role in your kidney function. The cocoa powder benefits for the intake of essential minerals is important for the body. Nuts have amazing beneficial effects as well. Nuts of all types deserve to be included in your daily diet because they provide many health benefits. By consuming a few nuts every day, you will notice how your energy almost instantly improves. Blueberries are rich with minerals, especially with manganese which plays an important role in the development of the bones, metabolism of the proteins and carbohydrate metabolism. Dietary fibers that the fruit contains are the foundation of a healthy diet. Combine all the ingredients in a blender and blend until you get smoothie with rich texture. Pour in glasses, garnish according to your taste and serve the chocolate smoothie immediately.